There is a general belief that the smaller the government, the better. That is, unless you've ever been to an actual city council meeting or . . . let a bunch of dopey cowboys run a national wildlife refuge just for the heck of it. 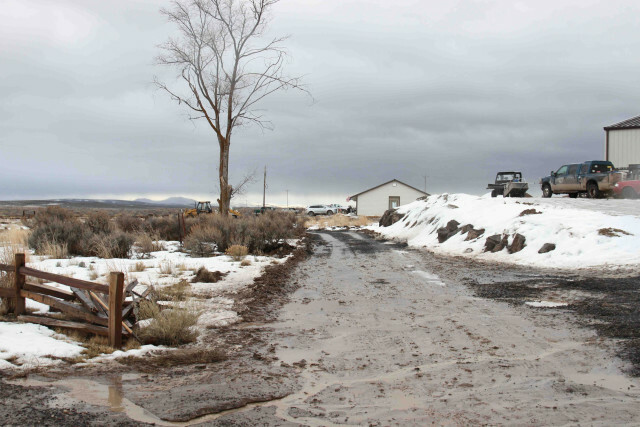 Somebody thought it a good idea at Malheur to take a government bulldozer on their own authority and plow a new road through a formerly protected cultural resources site that had not been fully examined but is known to have significance to the local Malheur Paiutes who have, until armed yokels took over, had a pretty good working relationship with the federal government at the Refuge. I'm no fan of the cumbersome bureaucracy of the federal government, believe you me. But it is a living as we try to sort out the laws and rules designed to give every participant a say and a fair shake in determining how the slow wheels of government grind ever so slowly forward, hopefully for the best. And there are many adequate opportunities for course correction through public participation in advisory councils, public rule-making, and Congressional action reflecting and balancing the interests of numerous constituents and their various group interests. Also, the President can act attempting to implement (or not) the Congressional mandates, with the Courts always available to hear challenges to the processes and decisions. We honor and revere the Founders as we fail to recognize that they were politicians and many of them were lawyers, or at least well trained in law and legal/political theory to set up our amazing system of checks and balances that still works through it cumbersome processes of allowing its people, a goodly many of them lawyers currently, to work out their differences, or not, through public processes. Is there room for improvement? Oh, yeah! But I honestly and sincerely believe those improvements will come about by a better informed and participatory electorate and citizens willing to take on real responsibility for their own well-being and that of their fellow citizens -- Not through a demagogic blame-game on the unpopular minorities of the moment, but a sincere effort to respect the rights of all. It would help to start with recognizing that the Constitution still lives and did not die in 1860 with Lincoln, the Civil War, and the post-war Amendments, particularly the Fourteenth Amendment that places severe restrictions on discriminatory practices of federal, state, and local government regarding the rights of citizens of every race, creed, national origin, political persuasion, gender, etc. That is something the armed insurrectionists and bull-dozing cowboys of Malheur have stated that they do not accept. Lincoln is long gone but his principles, and those of Jefferson to promote life, liberty, and the pursuit of happiness [which he deliberately exalted over crass property], and government by the People, for the People, and of the People = All the People after the 13th, 14th, and 15th Amendments, with a few more following, are the only hope we have! ¡Que viva la Constitution of the United States of America! For now and for all time! Scofflaws and Demagogues alike will be reigned in by constitutional processes and the better angels of our electoral system. I still have hope and will continue to serve to my dying breath to uphold the oath I swore to the Constitution, its People, and their laws. God bless us and America! If you don't believe in a God, you're still welcome and protected here. So call on all the good we have to keep forming that more perfect Union of, by, and for all the People!